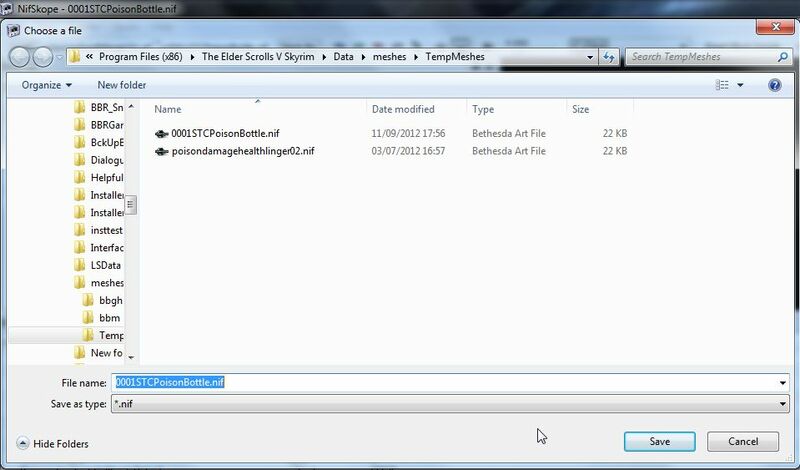 Edit: Slight change to the final 2 settings should be noted, both should be INVALID. 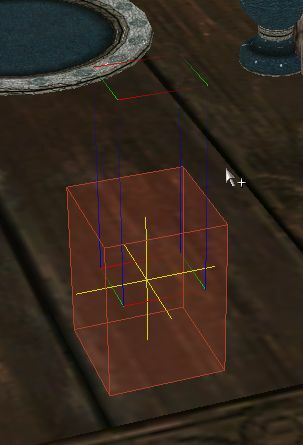 Ever created a trigger over an object only to find that it seems to be about 5 times larger in-game? Ever put a trigger somewhere only for it to get in the way of the things behind it? Ever though, "Wouldn't it be great if I could just use the object as the trigger instead of having the two separate?" In this tutorial I'll be showing you how to create a trigger that is the object! be picked up/moved/kicked, this will still be the a case unless a few settings are changed in the objects .nif first. 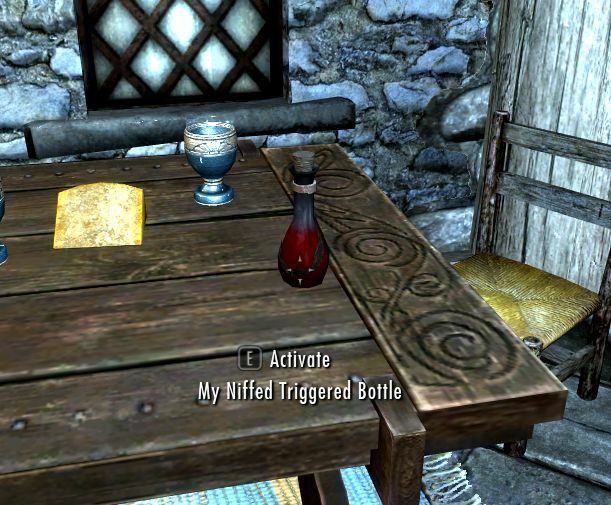 This includes bottles, coins, fruit & veg weapons & armour, pottery, you get the drift. Basically anything that can be moved. you can just skip straight to there! 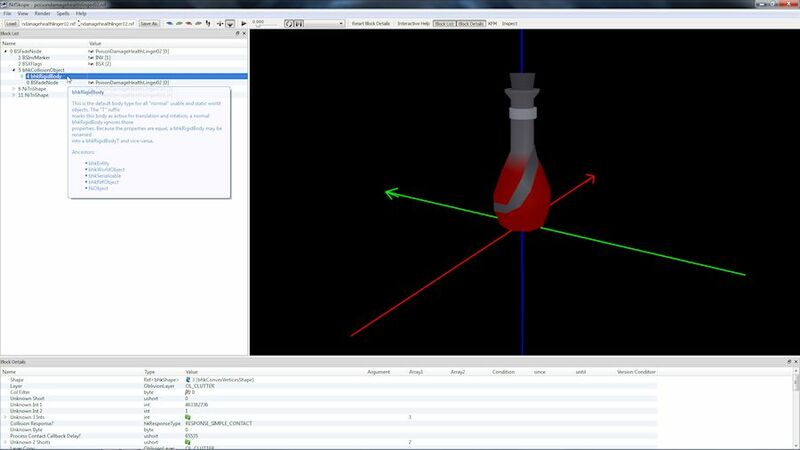 To follow this tutorial you'll need a couple of extra bits of software as well as the CK. 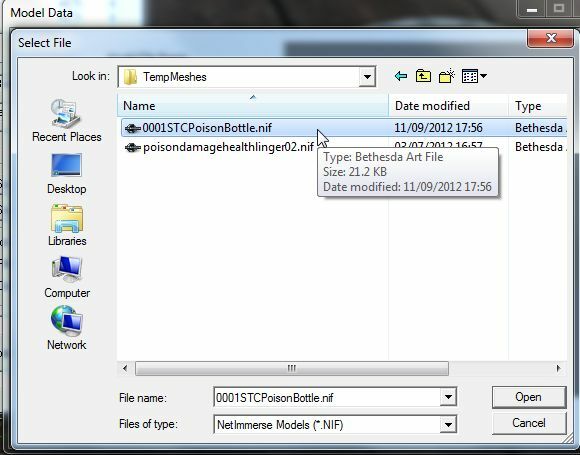 Firstly you will need something to unpack the .bsa archives from the game, I use BSAOpt myself. Second, you will need NIFScope. instructions with them anyway, and only touching upon the needed parts for NIFScope. you want to use and edit it's base object to find the name of the .nif the object uses. using the CK's packaging option to archive it in your own .bsa which must be named exactly the same as the esp/esm of your mod! 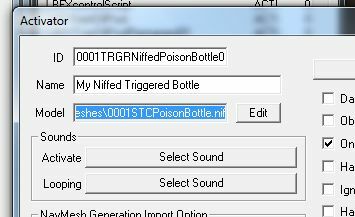 something that you'll recognize and once done we'll continue with changing it's settings in NIFScope. You should now have your .nif and your folder structure all set up, so we'll begin. Open NIFScope, click the <Load> button in the top left corner, browse to your .nif and double-click it to load it into the window. 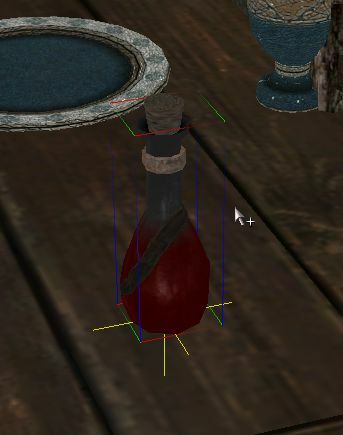 I'm using one of the standard Poison bottles for this tutorial, but you can choose anything you like! 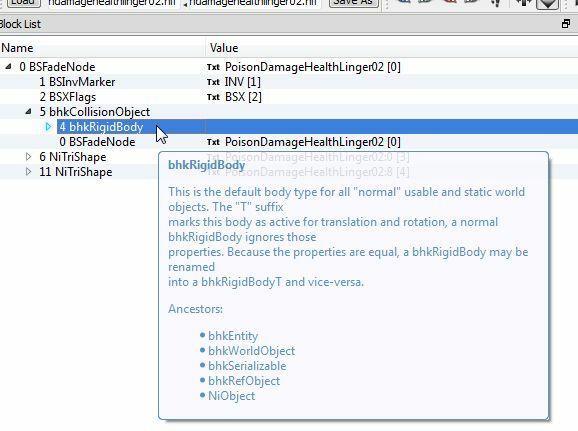 Browse the structure tree in the left panel until you find "bhkRigidBody" and select it. You can now save your edited .nif. Your .nif is now ready to be imported back into the CK. Open your mod in the CK and start by making a new trigger by clicking the cubed "T" button on the toolbar. In the <Select Form> window that pops up double click <NEW>. Give your new trigger a recognizable ID. 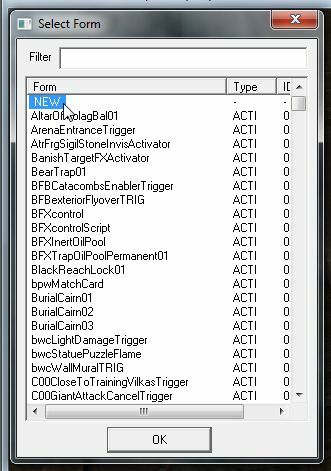 In the new <Activator> window give your trigger a name (this will be what you see when you mouse over the object in-game), and click <Edit>. 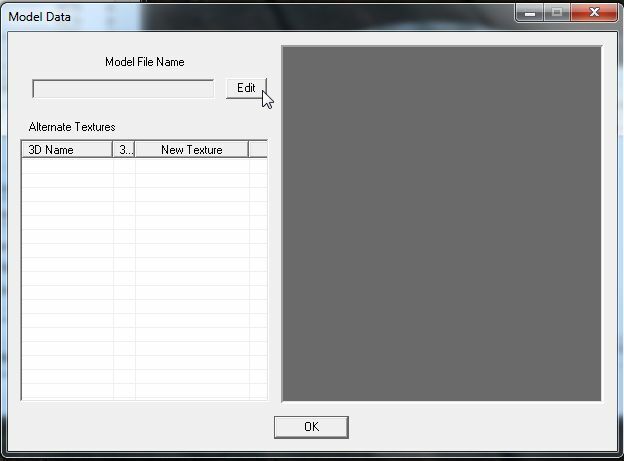 In the new <Model Data> window click <Edit> again. Now browse to your custom .nif's folder and double-click it to import it into the <Model Data> window and hit OK all the way out. 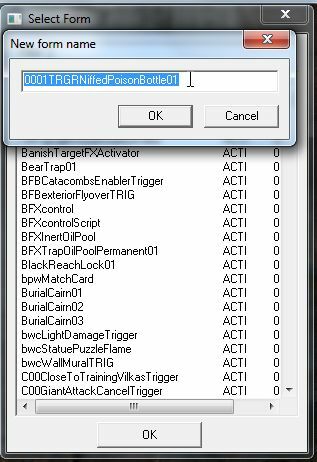 ticking the trigger <Player Activation> setting as once the .nif is being used you lose the <Primitive> tab. 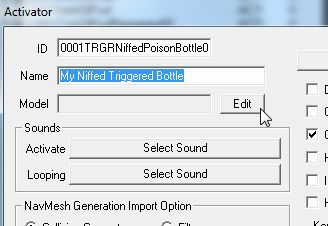 The moment you select <None> your trigger will turn into the object you have chosen, click OK.
You'll see your trigger has turned back into a trigger, but now it has an invisible box with it as well. 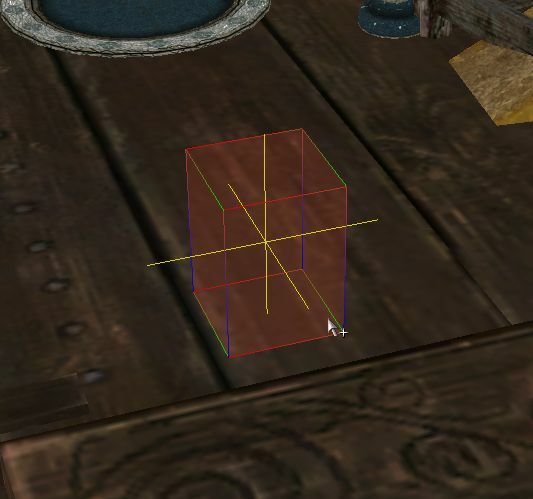 Click your middle-mouse (scroll button) in the render window to make it active and hit F5 to refresh the window, et viola. 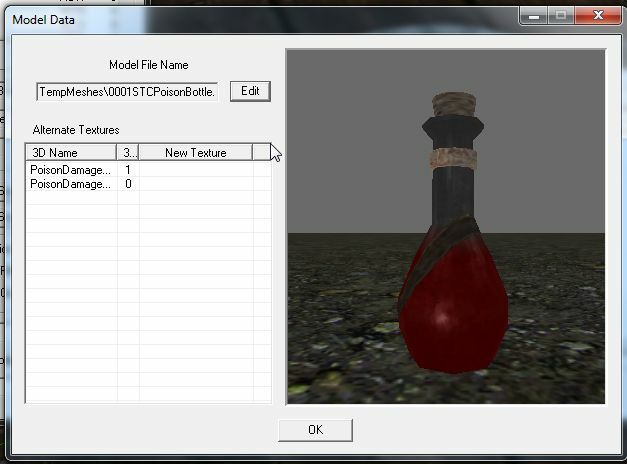 You can now add whatever scripts you wish to use to the bottle and try it out in-game. All done!! One niffed trigger!